The top floor of Paris's famous Ritz hotel was reportedly engulfed in fire as the establishment prepared to reopen its doors to guests after a three-year restoration effort. 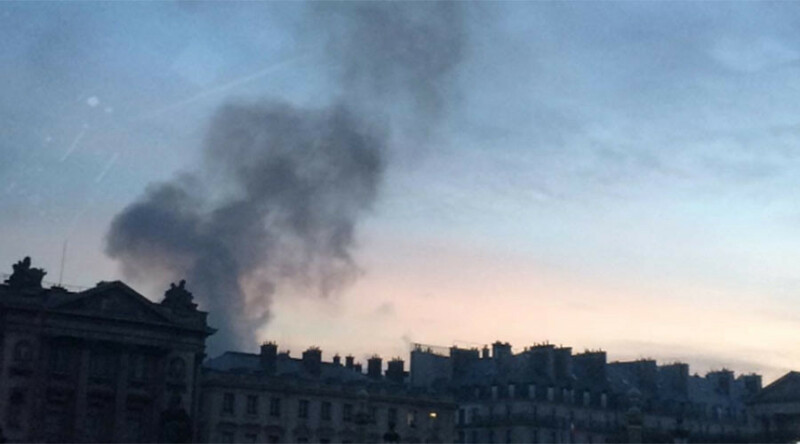 People in the French capital have been posting photos of the hotel with smoke pouring out of its windows. French media cited firefighters as saying that the entire top floor had been destroyed by the blaze. The world-famous 5-star hotel on the Place Vendome was closed in the spring of 2012 and was due to be reopened in March. An evacuation of the building was ordered and, according to early reports, nobody was injured in the blaze. The luxury hotel received its first guests in 1889, managed by the Swiss hotelier Cesar Ritz. Among the celebrities who made it their home were Coco Chanel and Ernest Hemingway, who spent years living in Ritz. #ritz paris on fire! Keep finger crossed!